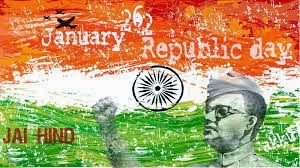 Wish you all a very happy and patriotic republic day! Pity I didn't get time to blog today. Anyways, it's a day of great pride for all of us Indians and this is the only day(apart from Aug 15th) most Indians cherish thier nationality! A new element, 'Music India' player has been added to the blog (right pane). Make sure to check it out! I have noticed many bloggers asking experts about adding music player to blogger and when I myself googled it, I found several confusing and complicated anwers. 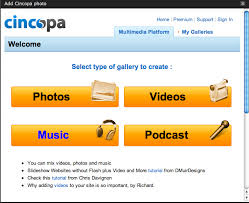 But, the most simple way of adding a music gallery to your blog, according to me, is through Cincopa(www.cincopa.com). Cincopa is free, easy and safe. You just have to sign up(freely!) and select the customising options for your player and you can immediately embed the html code to your blogger layout. It's as simple as that! I would personally recommend cincopa to all bloggers. Go run and try it out! P.S. I would once again like to thank all my readers and followers for their great support. I would also like to thank my blogger friends like Aunt Mary(easyway1234.blogspot.com), Anirban Chatterjee( http://techtravelandtalks.blogspot.in) and others...Thankyou very much for your support.